Preheat oven at 400F. On a large baking sheet, place zucchini slices evenly. 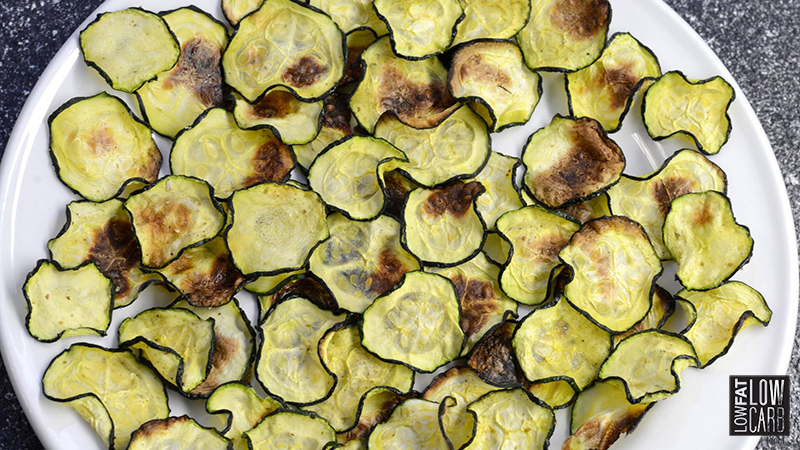 Now, sprinkle zucchini slices with cumin powder and drizzle with grape seed oil. Lastly, place the baking sheet in the over and let cook for approximately 15 minutes (depends on the thickness of zucchini slices). Let cool for one hour.